Articles - PMM - To Bolt or Not To Bolt Is The Question? To Bolt or Not To Bolt Is the Question? We will continue discussing the topic of stretch wrappers in this article, more to the point this will be specifically about semi-automatic high profile stretch wrappers. Many customers call us in need of new casters for their turntables on their stretch wrappers. It does not matter which brand, it includes all of them. This is a call that comes in 5 times a week as an estimated minimum. So why does everyone need replacement casters for their stretch wrappers. Yes, some of the issue is wear and tear ( normal wear parts ), but the majority of the need for replacement is damage. Yep, you heard correctly damage. We find that damage is usually the factor after we get the full story. No problem as you know we have the parts and send them out. The damage that occurs is due to machines being bolted down to the floor. This is a BIG NO NO! Pretty much all the brands have bolt openings to secure the machines to the floor. Ah, great idea someone was thinking. Well it seems it ends up causing more problems than you could imagine. So lets find out where this damage comes from now. 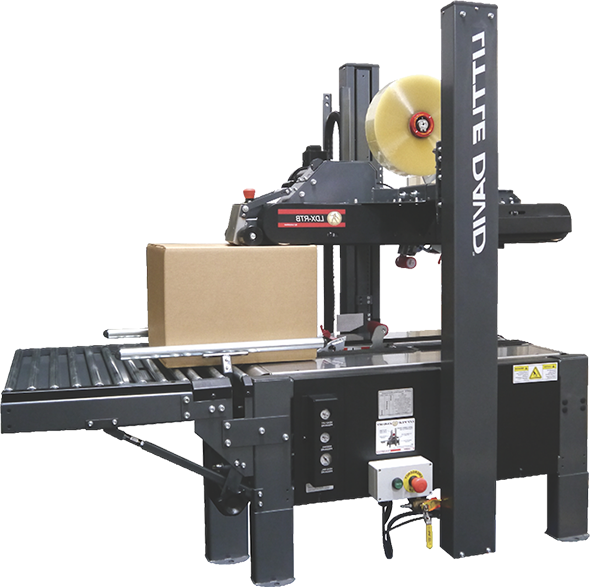 If you are using a high profile wrapper, it usually means your facility utilizes forklifts to load pallets on the stretch wrapper turntable. Not all forklift drivers are precision operators. I am sure you know what I mean, but it is reality. So when these drivers come racing up with a pallet in forks and don't estimate correctly "BOOM" they bang into the turntable. When the turntable is bolted to the floor there is no give and the turntable and all the components under it take the hit. It may be a gradual twisting and turning of the components due to numerous collisions, it can be due to one really good collision. Either way we get the call soon after requesting parts for that brand machine. Is your machine bolted to the floor? You may want to reconsider it being bolted down to the floor.